Holiday Hackathon Day 2: What Does a Soon-To-Be-Ex-Gravesite Look Like? 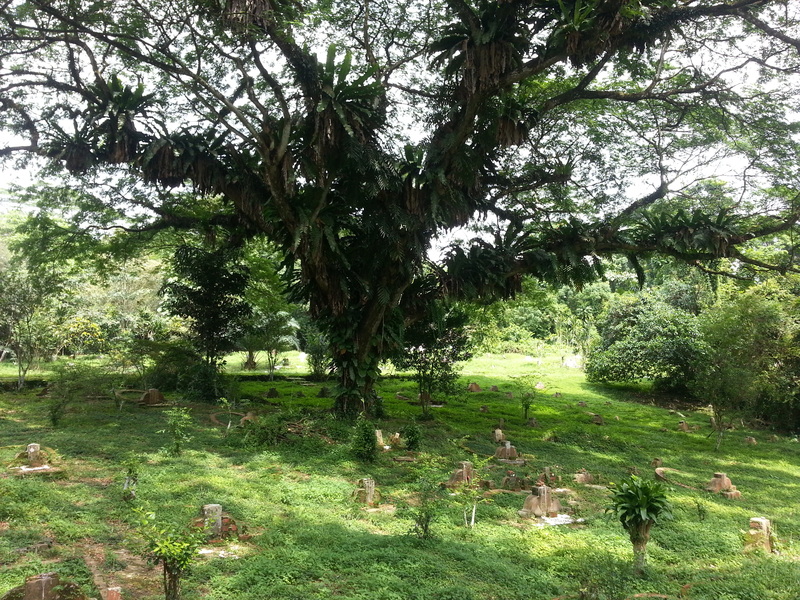 Today, I headed out to Bukit Brown, a Chinese cemetery here in Singapore that is going to be torn down to make way for a road. 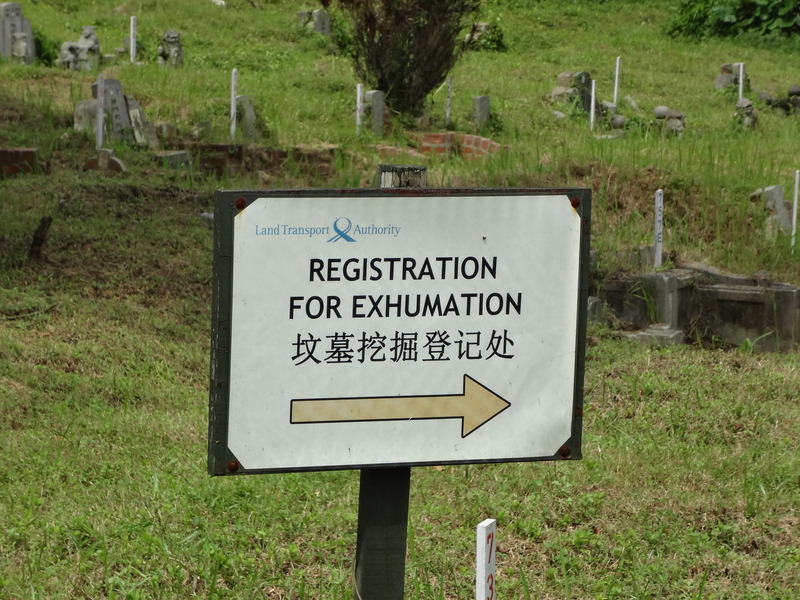 It is the first Chinese cemetery in colonial Singapore—lots of pioneers are buried here. It has been listed as at risk site on the 2014 World Monuments Watch. I really hope I never have to do this to any of my dead relatives. It is such a lovely cemetery. I like coming across the ones under huge trees. It was a very peaceful oasis, surrounded by a country club and homes for rich people. 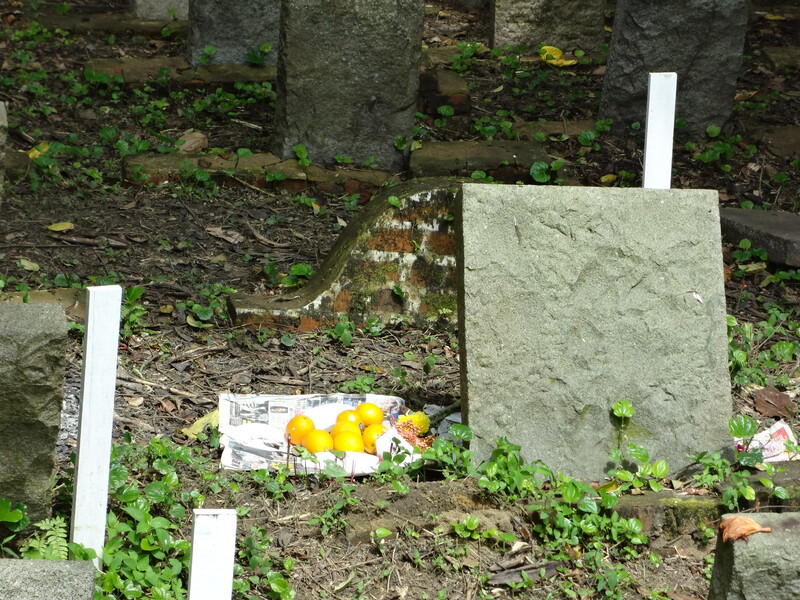 There were many graves where I saw recent offerings of food, as though an apology to those who were to be exhumed. The unclaimed ones, I read on the signs, were to be cremated and the ashes cast into the sea. 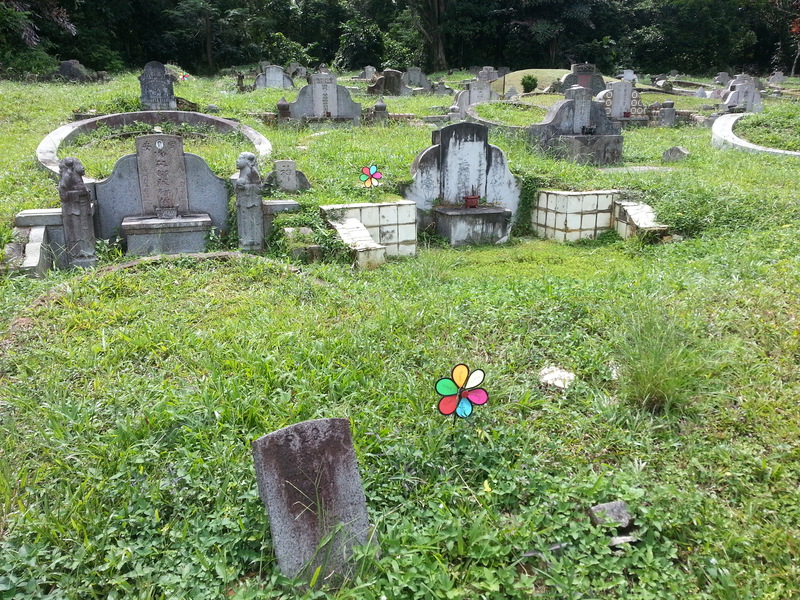 I loved these pinwheels in this graveyard. There is something about walking that untangles my thoughts and gives me clarity. Such a beautiful place! Go see it before it’s gone. 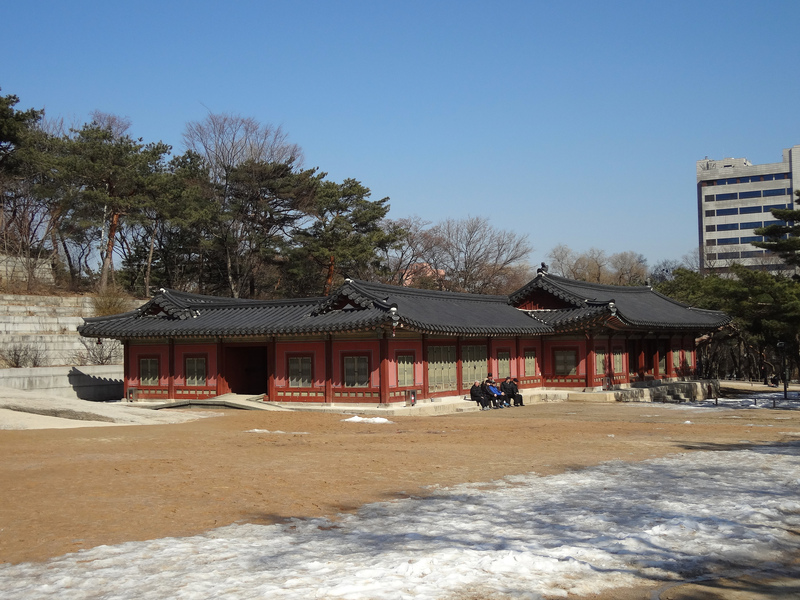 (Seoul)—Changgyeonggung, the palace to the east of yet another royal abode with a similar-sounding name (Changdeokgung), seems to be the least popular one among all the Korean palaces I’ve seen. On this cold winter’s day, the few people I encountered were mostly locals. However, this is one of my favorite palaces because of all the fascinating stories it harbors behind its silent walls. Hwangyeongjeon may look like most of the pavilions I’ve seen, but its story of being a “feminist pavilion” deserves to be told. Dae Jang Geum was the only female royal physician to attend to the king, delivering Queen Janggyeong’s baby and curing Queen Dowager’s Jasun of her illness. Her skills won the confidence of the king, who appointed her the top royal physician, a move that traditional Confucian ministers objected to. 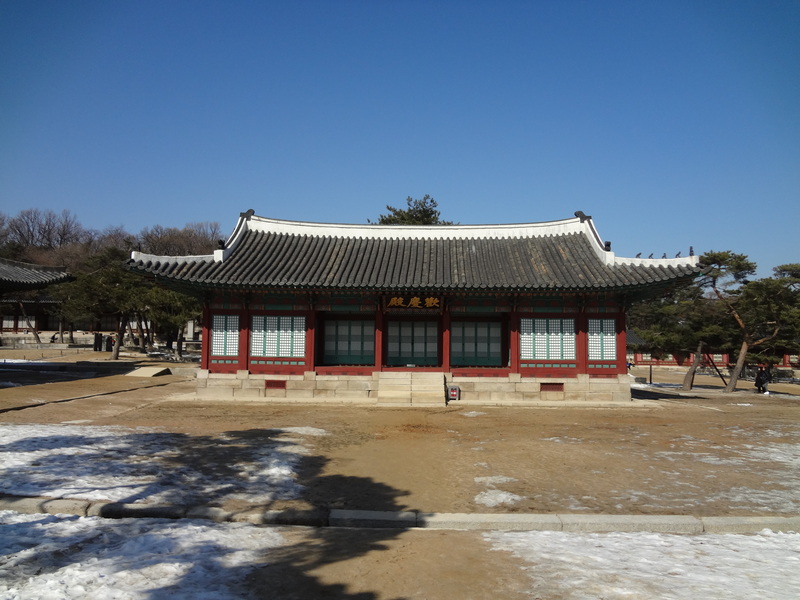 Dae Janggeum was the most trusted physician of the king, and attended to him until his death. Her story is the subject of an eponymous Korean historical TV series. 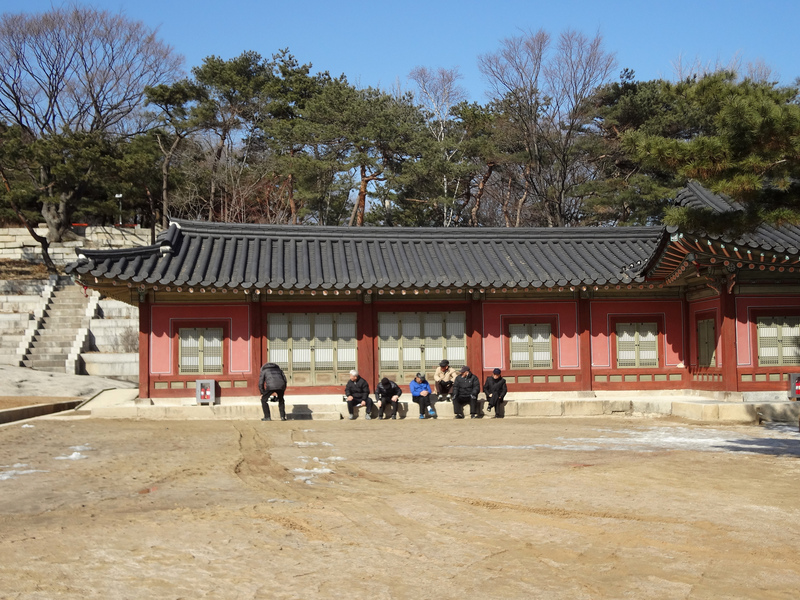 At the site of Tongmyeongjeon, the queen’s bed chamber, is a scandal that trumps all tabloid stories. King Sukjong had an affair with a maid named Jang Ok-jeong, who gave birth to their son, Prince Gyun. 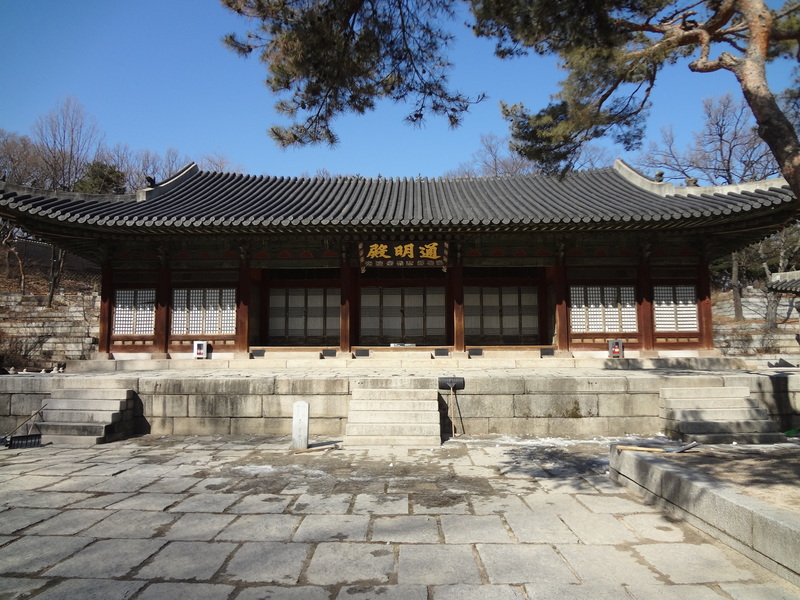 While trying to make Gyun as the crown prince, King Sukjong removed those who opposed this move and deposed Queen Inhyeon, installing Jang as the queen. 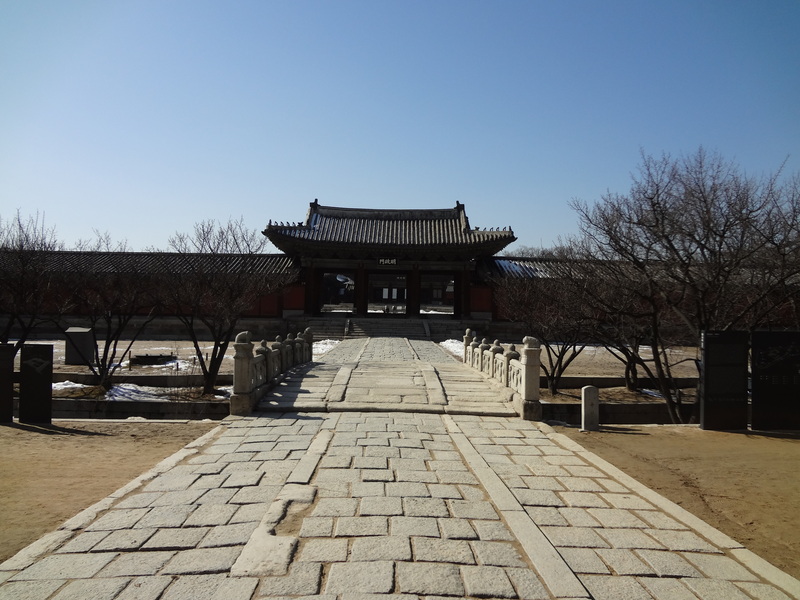 Followers of Queen Inhyeon restored her to power, demoting Jang as consort. Jang cursed Queen Inhyeon by burying a puppet of the queen together with dead animals near Tongmyeongjeon. Upon discovery, Jang was forced to commit suicide at 43 years old by ingesting poison. Nearby is a garden with a round well and a square pond. Surprise, surprise, this year her story will make it as a TV series, which itself is based on a chick-lit novel. Yeongchunheon and Jipbokheon are believed to be residences for concubines. Seeing that these buildings are now empty and seems to be a place where these old guys hang out to gossip made me laugh. I’m positive there are Korean TV series on something like this. 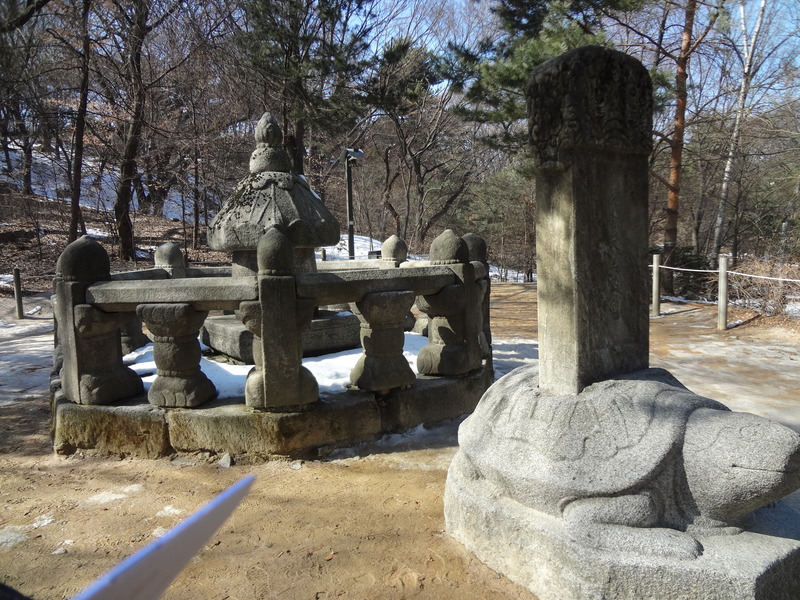 This is the site of King Seongjong’s taesil and taesilbi (placenta chamber monument). According to the Korean age system, a baby is one year old at the moment of birth because life is considered to begin at conception. The placenta is stored in a porcelain jar a few days after being born. The jaris sealed several times and enshired in a stone chamber after a few months. I’ve seen other placenta jars in the National Palace Museum of Korea. A year before Japan formally annexed Korea, Changgyeonggung was turned into a botanical garden and a zoo, demoting a palace into a public park. 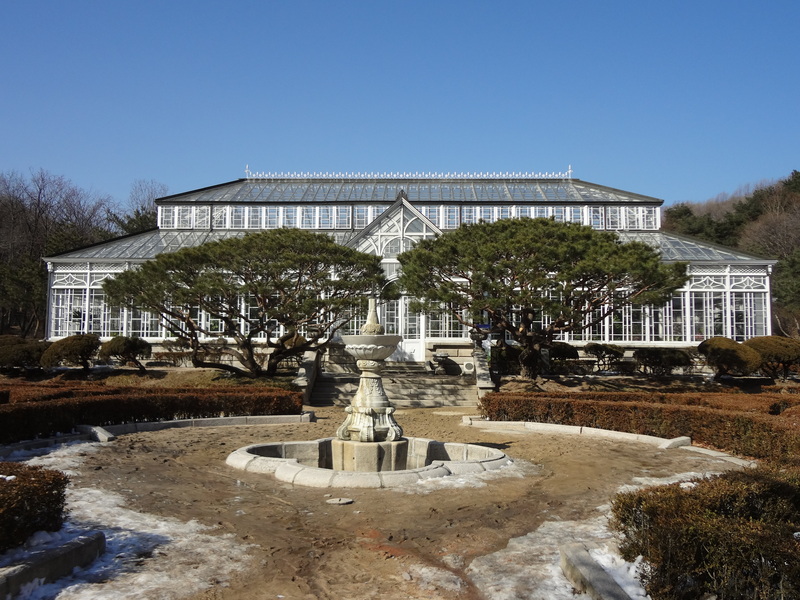 Daeonsil, the glass house, was built as Korea’s first Victorian-style greenhouse. The zoo was removed in 1983, but the glass house exists and contains a many indigenous plants. Lessons learned: Beware the quiet ones, for they hold the juiciest stories. And the more scandalous or noteworthy it is, the better the chances of making it big on TV posthumously, centuries later. (1) Cultural Heritage Administration of Korea (2011). Changgyeonggung. Pamphlet. We live in a world where we are judged by numbers. We are obsessed with stats—the number of miles we ran or biked, our waistline, the number of wrinkles on our faces, our credit score, the number of exes, how many times we get a retweet—the list goes on. There’s probably a smartphone app to track each one of them. These are numbers we can improve upon, manipulate, transform. But there’s one that is universal and irreversible: birthdays. The passage of time. The number of candles on a cake that signals another 365 days have gone by. Consider some of the articles that have recently had so much discussion. “Why Women Still Can’t Have It All” by Anne-Marie Slaughter, “The Busy Trap” by Tim Kreider, and to a lesser, but no less important, extent, “Friends of a Certain Age” by Alex Williams. Among obvious issues the articles are primarily about, such as feminism, work values, etc., lie a crucial factor that unwittingly drives our questions of achievement and meaning: time, and whether we have enough of it to do all that we, in our limited existence in the world, desire to do. We feel that time is a resource we are constantly running out of, and then comes the inevitable question we ask ourselves: “What have you got to show for it?” Where is the book you’ve promised yourself you were going to write? Have you gone on that big trip you said you would? Did you learn that second language, get that graduate degree, make that movie? Why are you single, separated, or divorced? Perhaps some of us go through time hoping we can pause it. Please, hold off until I catch up. There are way too many decisions to make, hurdles to overcome, and relationships to manage to be able to check things off of our personal bucket lists. But time is like a cab ride; the meter keeps going until your journey is over. Many people try to cheat time by compromising. The hear the ringing of what I’ve heard called, rather amusingly, “marriage-o-clock,” according to Kate Bolick of The Atlantic. They set themselves a deadline for getting married and having kids. Or they choose and stay with jobs they secretly don’t love. The older we get, the less options we supposedly have, and no one wants to feel like they didn’t “make it” and that their time was a waste. For as long as I can remember, I have always been guilty of judging myself for what I have done in the time I was allotted. In my mental timeline of my slowly-disappearing twenties, I can narrate the past decade by the things I have achieved, such as exhibitions, degrees, residencies, personal projects, travel, and friendships I’ve made and developed. I’ve seen them as significant milestones, because each has provided me with a type of personal growth that I think is unachievable if I tried to live otherwise. I suppose that subconsciously, I do this partly in the hopes that I’ll never have to lie or feel embarrassed about my age, as the months slowly encroach into my thirtieth year, when I will ask myself whether I made excellent use of the time I had and if I feel the need to withhold the year of my birthday. So back to my interrogation. “How long have you been doing taekwondo?” presses my gregarious young friend. Oh, bless you, my child. I think.